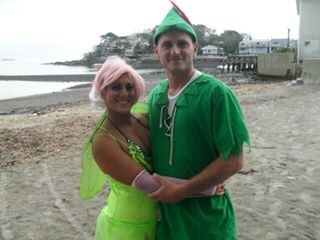 Please join us for our 5th annual costume paddle to wrap up Sup season 2015 with fun costume paddle around the harbor!!! Wow we had such a great season we can’t believe that summer is gone and fall is upon us. We will paddle around the harbor together in costumes for this free event and lots of fun! Open to all ages and we supply a board for you. If you have your own board, join us too! All you have to do is dress to impress! There will be prizes for 1st, 2nd and 3rd place. Each year the costumes get better and better! We can’t wait to see you all! Invite your friends and family! This is a public free event open to everyone! See you on the water! We will also enjoy some beverages and cupcakes to celebrate Sup season 2015, to get excited for sup season 2016 and Chritos birthday! What better way to spend it then on the water, I costumes with all of you! That’s we we call FUN!